Ed Sheeran is only 26, but he's already had 36 top-10 hits in the UK. It's hard to break down musical success like that with hard numbers, but that averages out to 1.4 smash hit songs for every year of his life. Isn't that a scary level of productivity for someone so young? I'm not sure what his secret is, but I do know that he wrote the vast majority of them on his favorite instrument: his Martin LX-1. 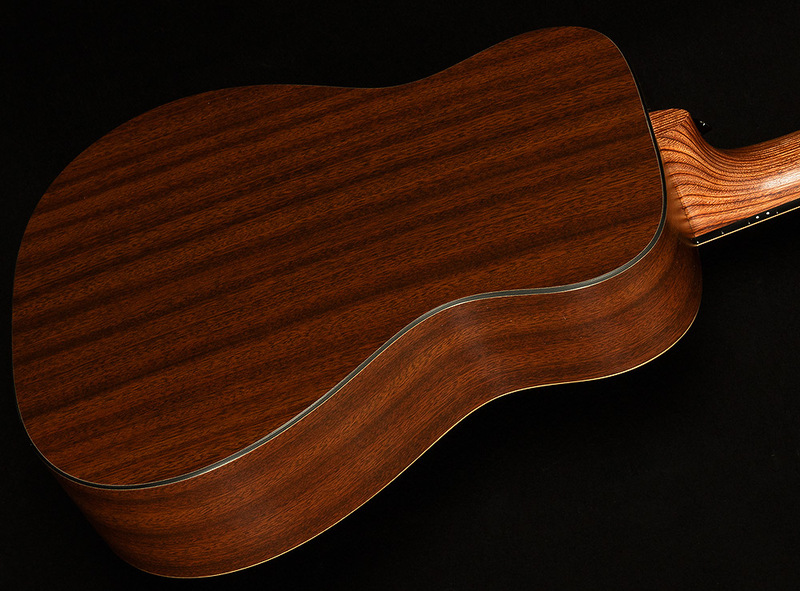 Though Ed could play any Martin he wanted, he always returns to his beloved Little Martin because of its easy-playing short scale neck, comfortable 3/4-size body, and surprisingly big tone! Now, on the heels of his two massively successful signature models, Ed and the team at Martin have put their heads together to develop the Ed Sheeran 3. This new edition features a blue rosette, blue division sign inlays on the headstock and fretboard, and no-nonsense HPL mahogany back and sides, all of which cultivate a refined, elegant aesthetic fit for pop royalty like Ed. It doesn't just look stylish, either! 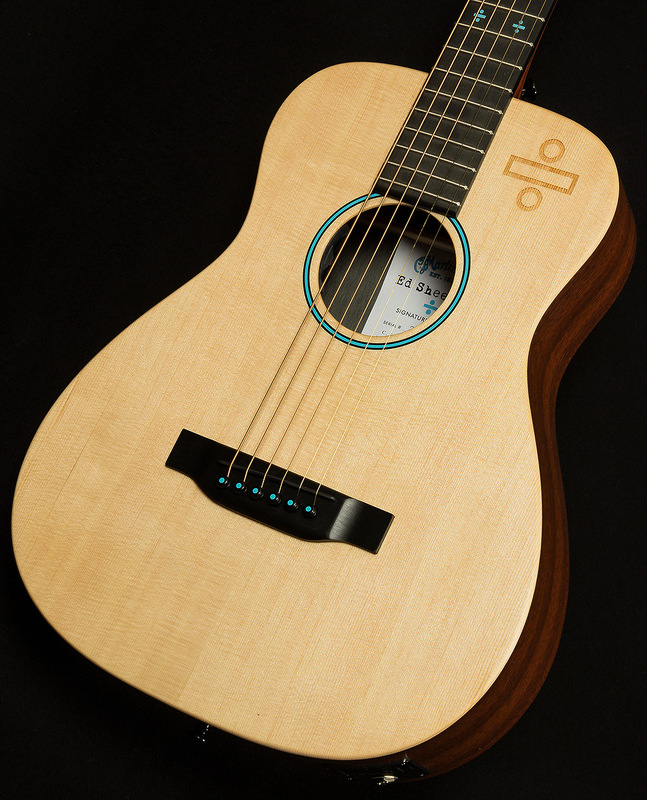 Though the Ed Sheeran 3 Little Martin may be perfect for travel and couch practice because of its size, don't be fooled: the Fishman Sonitone pickup system makes this guitar a powerhouse when it comes to live performance. Here at Wildwood, we recognize the immense value of having a guitar that can go anywhere and do anything with little to no fuss. When a guitar is portable enough and reliable enough to become a traveling companion, you're more likely to take it everywhere with you, and if you take it everywhere, you're going to play more. So, while the Ed Sheeran Signature Martin might not help you write 36 top-10 songs, it will help you write more songs! Wildwood Guitars invites you to have a blast playing the Ed Sheeran 3, and we are excited to see what ways it inspires you!